Divider and sheet protector in one is perfect to use when your documents need to be placed in sheet protectors. Tabs stay visible when used with top load sheet protectors. The clear tab labels virtually disappear when applied to the View Divider tab. 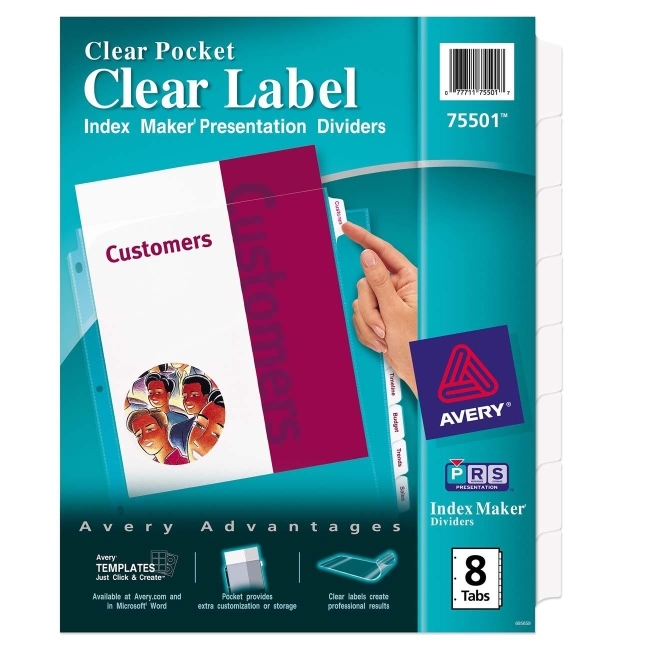 Format and print the clear tab labels using your existing software and your laser or inkjet printer. Avery offers many easy-to-use templates for Microsoft Word and other popular software programs.